A special court in New Delhi has granted bail to billionaire Ravi Ruia from the Essar conglomerate as well as executives of Loop telecom, all of whom are accused in the 2G spectrum sale scandal. The court, which is hearing the case, approved criminal conspiracy charges against Ruia, his nephew Anshuman Ruia, and senior Essar group executive Vikash Saraf and subsequently granted them bail. Ravi Ruia is on the list of ten most richest Indians together with his brother. He was named in the telecoms licensing scandal by the Central Bureau of Investigation (CBI) probe. Ravi Ruia and others are accused of owning 10 percent or more than one competing telecom carriers. 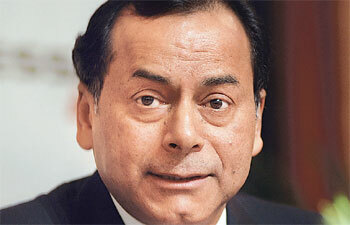 The CBI has said that Essar executives controlled Loop Telecom, which won spectrum in the 2008 sale. Essar already owned a third of a joint venture with Vodafone and this was a violation of the government rules. The scandal, which resulted in as much as $34 billion in lost revenues, had shocked the nation and jolted the growing telecom industry. Former telecom minister A Raja was recently granted bail after more than 15 months of his arrest in the 2G spectrum case. The Supreme Court of India has scrapped the validity of all 122 spectrum licenses that were granted to telecom firms during the former communications minister A Raja's time in office. The court cancelled all the licenses on the ground they were issued in a "totally arbitrary and unconstitutional" manner. It also imposed a fine on three telecom companies that offloaded their shares after getting the licenses.